The evidence on the positive effects of Medicaid expansion on coverage, access, utilization, and financial security is substantial and growing. A new study by Meera Harhay, her spouse and LDI Senior Fellow Michael Harhay, and colleagues suggests yet another benefit: Medicaid expansion helped low-income and minority patients with chronic kidney disease (CKD) gain access to the kidney transplant waiting list. 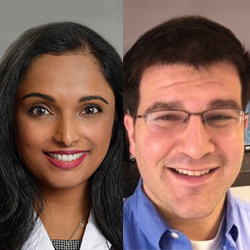 Meera Nair Harhay, MD, MSCE, is an Assistant Professor of Medicine at Drexel University; Michael Harhay, PhD, MPH, is an Instructor of Biostatistics, Epidemiology and Informatics at the University of Pennsylvania. For those of us without a clinical background, a few clinical details are in order. Patients with kidney failure require dialysis or a kidney transplant to stay alive. Compared to transplant, dialysis care is a more costly treatment with lower quality of life. However, because of long waiting times and delayed transplant referrals, most transplant recipients have to spend some time waiting on dialysis before transplant, though the less time, the better, for transplant outcomes. To minimize waiting time on dialysis, CKD patients can be preemptively placed on the transplant waiting list (i.e., placed on the list before starting dialysis), thereby accruing valuable “extra” waiting time. However, as Harhay et al. note, access to the transplant waiting list is generally contingent on having insurance coverage, leading to substantial socioeconomic and racial disparities in who receives this additional waiting time. That’s where Medicaid expansion under the Affordable Care Act comes in. In January 2014, 24 states (and DC) expanded Medicaid to adults at or below 138% of the federal poverty level, leading to substantial gains in coverage. Did these gains address known socioeconomic and racial/ethnic disparities in preemptive wait-listing? Using the United Network of Organ Sharing database, Harhay, Harhay, et al. conducted a retrospective observational study of nearly 51,000 adults preemptively listed for kidney transplantation three years before and three years after Medicaid expansion. They compared the proportion of preemptive listings with Medicaid coverage in the 24 states that had fully expanded Medicaid with the 19 that had not (excluding 7 states that expanded after January 2014). The expansion states had a 59% relative increase in Medicaid-covered preemptive listings from the pre-expansion to postexpansion period (from 1,094 to 1,737 listings), compared with an 8.8% relative increase (from 330 to 359 listings) among the nonexpansion states. As shown in Figure 1, the adjusted proportion of listings with Medicaid coverage increased from 7.0% to 10.0% in expansion states, and remained essentially unchanged (decreasing from 4.0% to 3.7%) in nonexpansion states. The authors also looked at changes in the racial distribution of Medicaid-covered listings. As shown in Figure 2, there was little change over time in nonexpansion states (in fact, the Hispanic proportion of listings decreased). But expansion states saw larger increases in Medicaid coverage among racial and ethnic minority listings compared to white listings (whites, from 4.3% to 5.7%; blacks, 11.1% to 15.1%; Hispanics, 14.5% to 20.4%; and other race/ethnicities, 7.2% to 12.5%). The authors make it clear that further studies are needed to determine whether these gains in access to transplant waiting lists translate into better kidney transplant outcomes. Nevertheless, their findings suggest that Medicaid expansion is helping low-income and minority patients get on waiting lists earlier in the disease process.